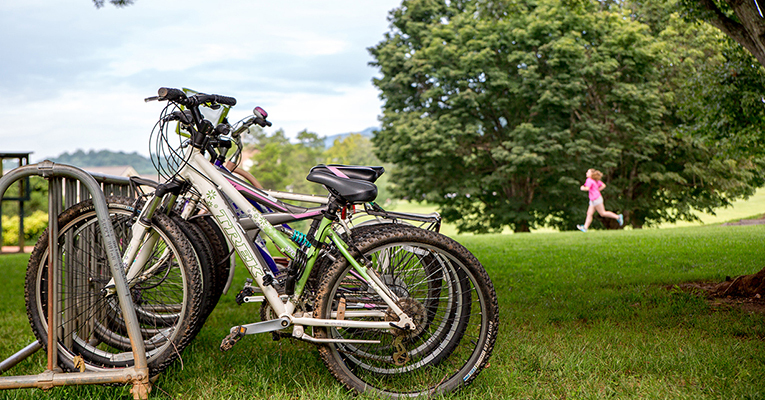 This article by Sweet Briar momma Kristina Henson was first published on Aug. 28, 2018, at elephantjournal.com. A few things I forgot to say. I had a long time alone in the car yesterday to think of all the things I forgot to tell you before I drove away and left you to live in a dorm with strangers, 518 miles from home. >> Wear your retainer as prescribed. I know what all of your teeth look like. If any of them move, you owe me $5,000. I’m not kidding. >> Don’t eat too much junk food. Go for a walk or watch puppy videos if you get stressed out. That whole “you are what you eat” thing is for real. Please make sure there is a green vegetable on your plate at dinner. >> Try new stuff. I’m going to do that too. I tried shrimp and grits yesterday. I don’t think grits is in my DNA. We are polenta people. I’m still glad I decided to try it. >> Go to the dances and parties and wear your new dress. It’s gorgeous on you. No one else knows anyone either. Just find one person you can talk to. If that one person is a boy, remember to get your own drink. I haven’t been a teenager for a while, but I know that things haven’t changed that much. A young man will go to exceptional measures to charm the pants off you. Be charmed. Have fun. Be safe. >> I have never seen an area so populated with deer! You’re going to be dodging them left and right! Keep your eyes on the road. Stay in your car and call Dad or me if you ever break down. Maybe get that campus security guy’s number too. What was his name? I can’t remember. >> Take a lot of photos. You have a talent for capturing moments. You’ll want to remember all of this one day. >> Don’t look at your phone while you’re eating. >> Do you have any idea how smart and funny and beautiful you are? I look back on photos of myself when I was your age and wish I knew then that I had it all going on. Maybe seeing that while you’re in the thick of it is impossible and part of growing up. Trust me: you have it all going on. >> If you ever feel shaky in your shoes, too stressed, too anxious, go outside. Take your shoes off. Feel the grass under your feet. Shut your eyes. Take deep breaths. Listen to the birds. I truly believe a few minutes of this can cure almost anything. >> I’m sure I’ll think of more things to tell you that will inevitably have you rolling your eyes at me, willing me to stop. Know that I can’t help myself. I can’t turn this off. I’m honestly not worried about the big picture stuff with you. 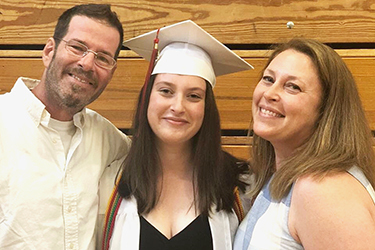 I am confident that I raised an intelligent, ambitious, motivated young woman. I’m just going to fuss a little. Be patient with me. >> Don’t slouch. Look people straight in the eye and speak kindly and confidently. Today is my first Sunday morning in the house without you. It’s way too quiet. I’m sad that I don’t hear your familiar sounds. I’ve read about and am fascinated by the significant transformation a person can go through in 40 days. It’s mystical. It’s practical. It seems to be a reasonable amount of time to try to adjust to a new way of living. So, for the next 40 days, I am going to write feverishly. I am going to paint the bathroom. I am going to look for my favorite hiking socks that you swore you didn’t pack and walk the dog a lot. I am going to get ready for you to come home for Thanksgiving. I am going to remind myself that this is everything I have ever wanted for you. In 46 days, I am going to drive 518 miles to see your beautiful face. I think that’s all I can do — keep busy and give myself some time to get used to this. This article was first published on Aug. 28, 2018, at elephantjournal.com. Kristina Henson is a writer and graphic artist living in upstate New York. 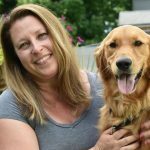 She divides her time between working, raising her daughter and catering to the needs of a large dog. 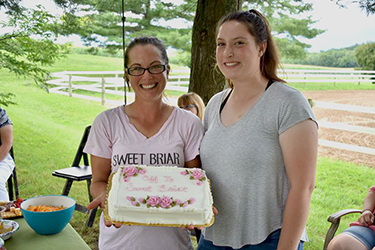 Her daughter Lily is a member of Sweet Briar College’s Class of 2022.